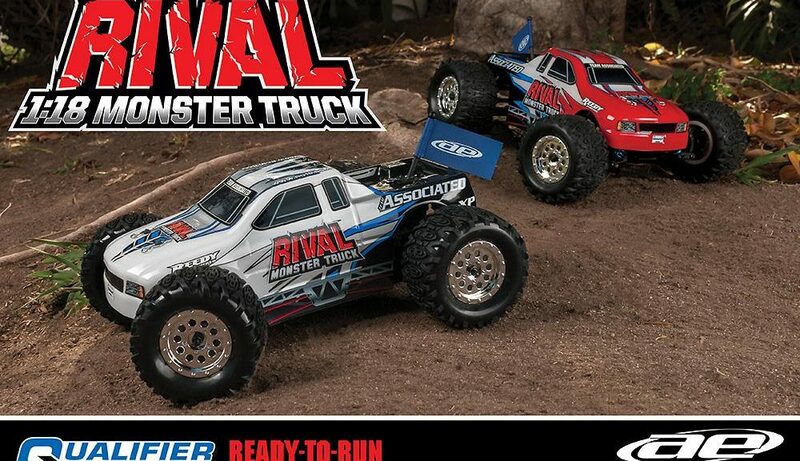 Just like its cousins the AE Reflex 1:18 and Apex 1:18, the Team Associated Rival monster truck comes complete with a transmitter, motor, battery, and charger. 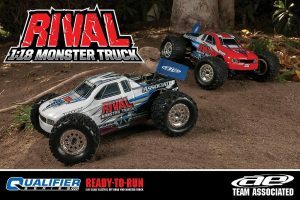 All you’ll need to do is charge the included battery pack, add four AA batteries, and you are ready to go!The Rival 1:18 features chrome wheels with aggressive, terrain-defying monster truck tires and an inline-mounted “Super 370” high-performance motor. The Rival 1:18 transfers all the power to the ground with its efficient, shaft-driven, 4WD powertrain featuring adjustable ball differentials front and rear. The Rival 1:18 suspension absorbs all of the bumps and jumps of the dirt with fluid-filled shocks for smooth and consistent dampening. The four lower suspension arms are symmetrical and work with the molded upper suspension links to ensure that the Rival 1:18’s suspension geometry is optimized from the start. Team Associated’s XP radio and Reedy Powered series electronics installed in the Rival 1:18 are compact and easy to use while providing high performance. A 10-hour wall charger is included. 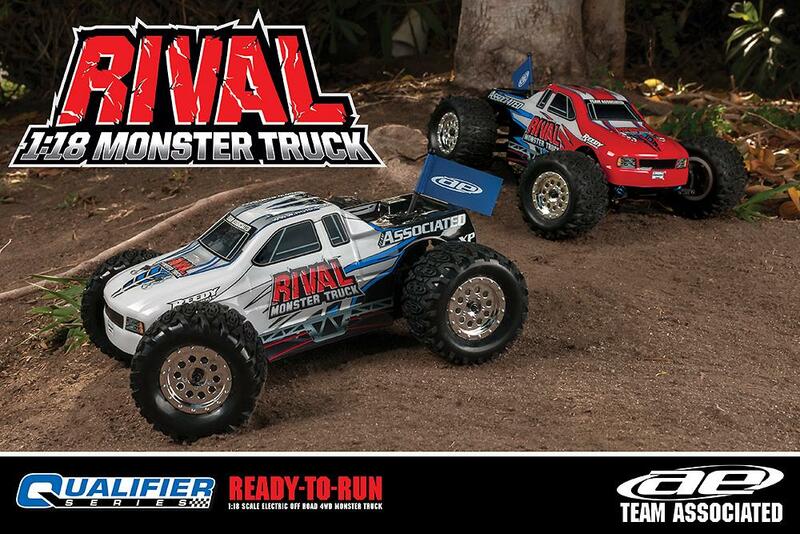 Two Rival color body designs to choose from, White or Red, with sleek graphics applied. Large monster truck tires help get the Rival over the toughest obstacles.